Yimiton's Blog: What is your take on this Dr. Sign Fireman? What is your take on this Dr. Sign Fireman? 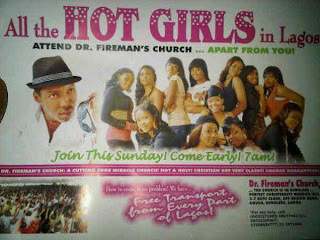 I came across Dr. Sign Fireman when someone on a BB group I am in put up a picture of a poster advertising his church. 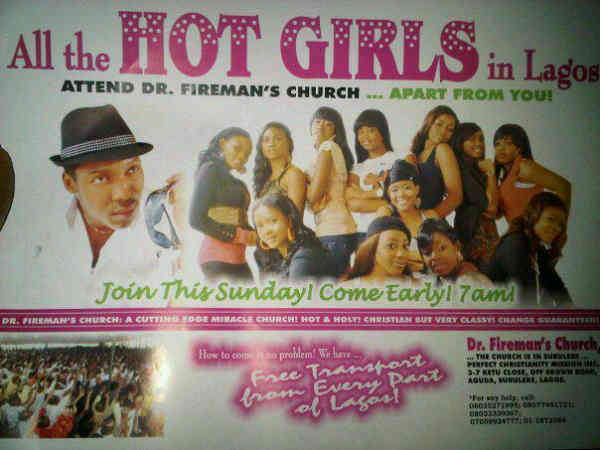 The bold heading was "All the HOT GIRLS in Lagos attend Dr. Fireman's church....apart from you! The advert was done in hot pink with lots of girls in different shapes on the poster. 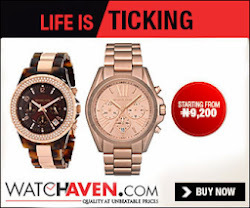 When I first saw it, I thought it was an advert for a show till I took another look at it and was shocked at the wordings. It's such a great documentary, I wanted to share it with the whole world. Please watch and tell me what you think of this guy. youre a good journalist and so down to earth. I don't usually leave comments but for this I would. I wont castigate any of these men but ill pray God to give us wisdom to understand religion.